Summary: According to a new study, fathers given a boost of oxytocin expressed increased activity in brain areas associated with empathy and reward when viewing photos of their small children. Study looks at neural mechanisms of paternal caregiving. 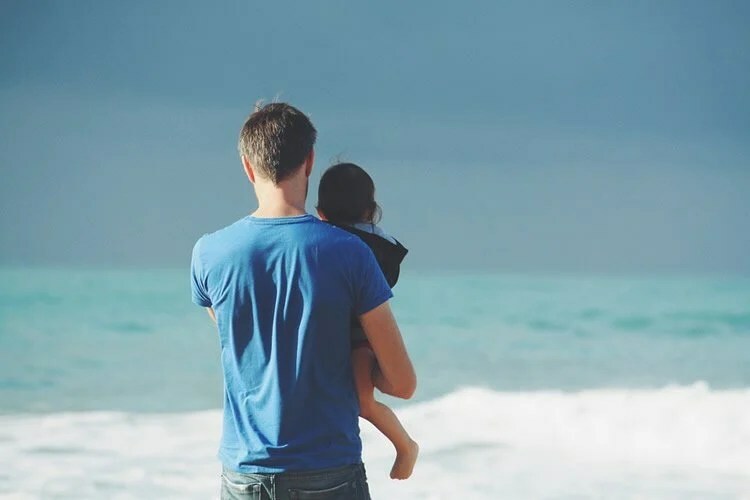 The journal Hormones and Behavior published the results of the study, the first to look at the influence of both oxytocin and vasopressin – another hormone linked to social bonding – on brain function in human fathers. A growing body of literature shows that paternal involvement plays a role in reducing child mortality and morbidity, and improving social, psychological and educational outcomes. But not every father takes a “hands-on” approach to caring for his children. NeuroscienceNews.com image is for illustrative purposes only. Co-authors of the study include Ting Li (Emory Anthropology), Xu Chen (Emory Anthropology and the School of Medicine’s Department of Psychiatry and Behavioral Sciences), Jennifer Mascaro (Emory School of Medicine Department of Family and Preventive Medicine) and Ebrahim Haroon (Department of Psychiatry and Behavioral Sciences). Funding: NIH/National Institute of Child Health and Human Development, NIH/National Center for Advancing Translational Sciences funded the study. Emory Health Sciences “How Dads Bond With Toddlers.” NeuroscienceNews. NeuroscienceNews, 17 February 2017. Emory Health Sciences “How Dads Bond With Toddlers.” http://neurosciencenews.com/oxytocin-dad-bonding-6127/ (accessed February 17, 2017). This study investigates paternal brain function with the hope of better understanding the neural basis for variation in caregiving involvement among men. The neuropeptides oxytocin (OT) and vasopressin (AVP) are implicated in paternal caregiving in humans and other species. In a double-blind, placebo-controlled, within-subject pharmaco-functional MRI experiment, we randomized 30 fathers of 1–2 year old children to receive either 24 IU intranasal OT before one scan and placebo before the other scan (n = 15) or 20 IU intranasal AVP before one scan and placebo before the other scan (n = 15). Brain function was measured with fMRI as the fathers viewed pictures of their children, unknown children and unknown adults, and as they listened to unknown infant cry stimuli. Intranasal OT, but not AVP, significantly increased the BOLD fMRI response to viewing pictures of own children within the caudate nucleus, a target of midbrain dopamine projections, as well as the dorsal anterior cingulate (dACC) and visual cortex, suggesting that intranasal oxytocin augments activation in brain regions involved in reward, empathy and attention in human fathers. OT effects also varied as a function of order of administration such that when OT was given before placebo, it increased activation within several reward-related structures (substantia nigra, ventral tegmental area, putamen) more than when it was given after placebo. Neither OT nor AVP had significant main effects on the neural response to cries. Our findings suggest that the hormonal changes associated with the transition to fatherhood are likely to facilitate increased approach motivation and empathy for children, and call for future research that evaluates the potential of OT to normalize deficits in paternal motivation, as might be found among men suffering from post-partum depression.